We specialize in building custom home offices, library bookcases, entertainment centers, media niches, Murphy beds, kitchen cabinets and other made-to-order furniture. Because we work directly with the manufacturer, we can offer you custom furniture that is high quality at affordable prices. 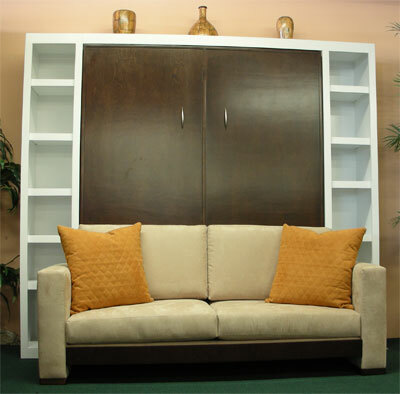 We have over 33 years of custom furniture and interior design experience. Our team takes pride in the quality of our work and strives for excellence in every project that we do. Our extensive selection of moldings, door styles, solid wood choices and premium wood stains allow flexibility in custom work. We work by appointments, so do not hesitate to contact us for an in-home consultation or schedule a complimentary design appointment at our office or factory.